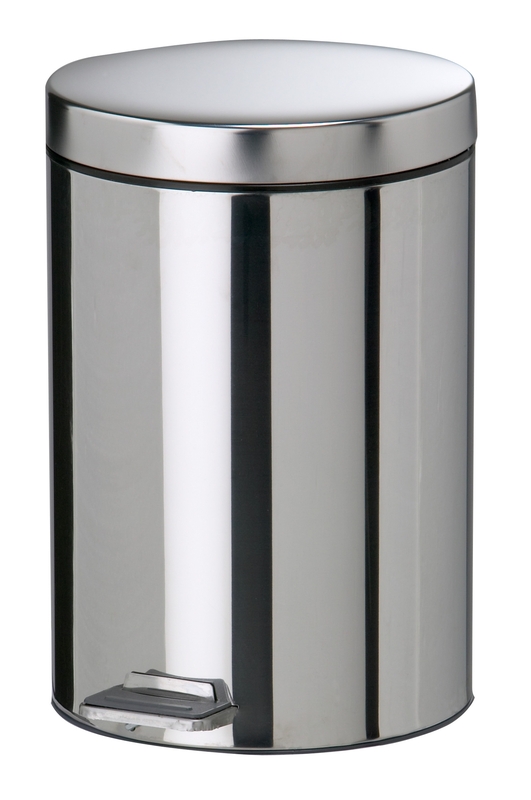 Pedal bin made of 18/10 stainless steel 0.32 mm thick. Capacity 3 liters. Inner bucket polypropylene black. It benefits from a chrome steel linkage and a polypropylene pedal. Height 260 mm. Pedal made of polypropylene. Chrome steel linkage. Diameter 170 mm. Size of the carton: 58.5 x 39 x 29 cm. 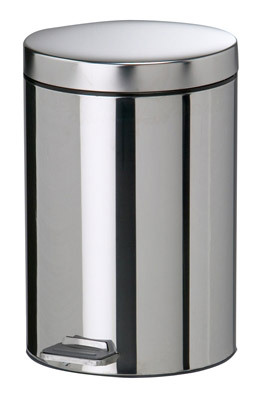 Adaptable waste bag 5 liters ref. 700535.